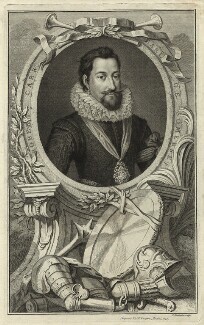 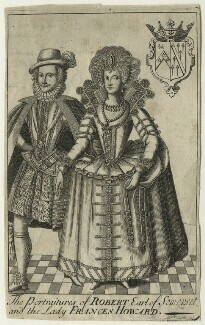 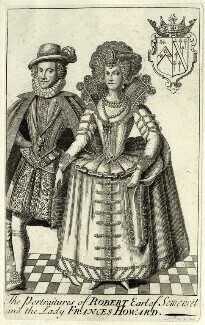 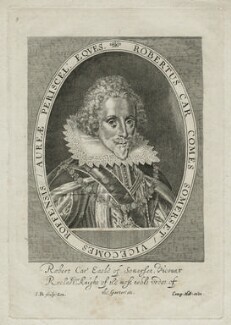 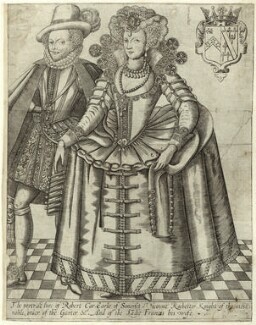 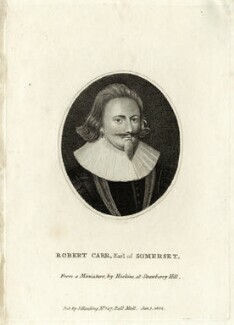 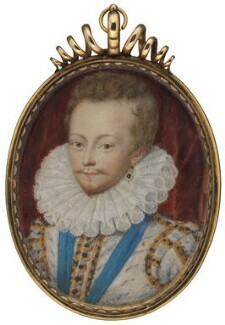 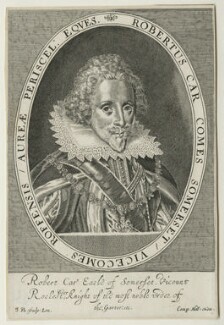 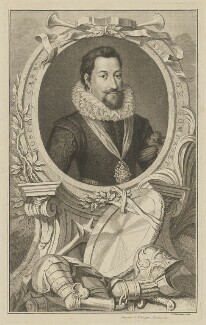 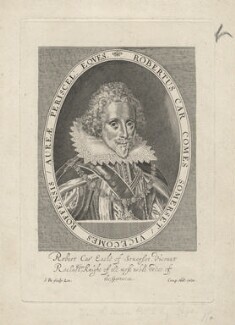 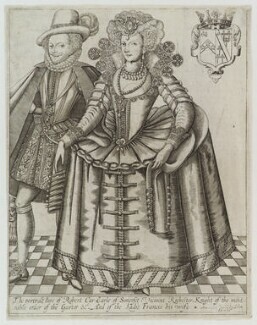 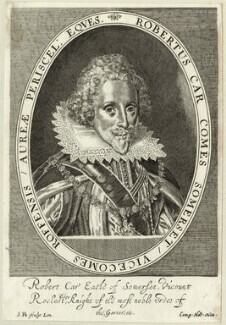 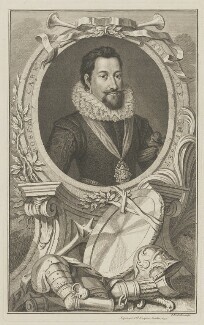 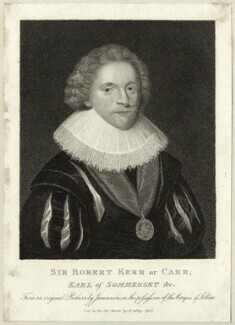 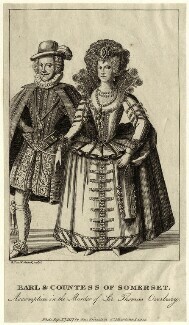 Following a fall from his horse at the accession day tilt in March 1607, Robert Carr was nursed by King James I and rapidly became a royal favourite. 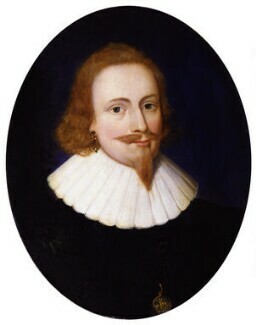 Created Earl of Somerset in 1616, three years later he was indicted with his wife, Frances Howard, for the murder of his Sir Thomas Overbury. 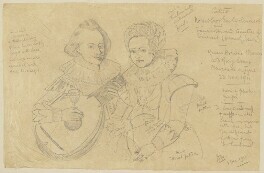 Though Howard confessed, both were later released.